In this paper the results from the study on the chemical contents, the fatty acid composition and the quality loss thermic manufacturing of the calf meat from the hybrid lines Isa Brown and Dekalb are presented. For this purpose, 7 samples of young chicken were taken from the hybrid lines Isa Brown and Dekalb. After the slaughter and primary manufacture, the inner fillet and drumsticks are separated. The inner fillet from the hybrid Dekalb contains less water and more proteins compared to the meat from the inner fillet from the hybrid Isa Brown. The meat from the drumsticks from the hybrid line Isa Brown contains more saturated and less unsaturated fatty acids compared to the meat from the hybrid Dekalb. At the meat from tne inner fillet the contents of the saturated fatty acids is lower than the contents from the unsaturated which is higher at the hybrid line Issa Brown. FILIPOVSKA, Sanja; ANDRONIKOV, Darko; KUZELOV, Aco. CHEMICAL AND FATTY ACID COMPOSITION IN MEAAT OF YOUNG CHICKENS DIFFERENT HYBRID LINES. 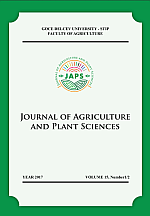 Journal of Agriculture and Plant Sciences, [S.l. ], v. 15, n. 1/2, p. 61-67, dec. 2017. ISSN 2545-4455. Available at: <http://js.ugd.edu.mk/index.php/YFA/article/view/1911>. Date accessed: 21 apr. 2019.